Looking for a Sarasota retina specialist? At Coastal Eye, their board-certified and fellowship-trained retina specialists, Dr. Anita Shane and Dr. Allison Menezes provide a full spectrum of medical and surgical treatments for conditions that affect the retina, vitreous, and macula. Schedule an appointment today at Coastal Eye by calling 941-748-1818. If you live in Sarasota and need ophthalmology services, call Coastal Eye at 941-748-1818. Coastal Eye offers specialists in every area of ophthalmology, and are uniquely qualified to care for patients through all stages of life, from infancy to the ‘golden years’. In addition to providing routine eye care for children and adults, Coastal Eye brings a wealth of experience and surgical expertise to the practice. Call today to speak with a specialist. Call Coastal Eye in Sarasota for expert plastic surgery. Dr. Eric Berman is a board-certified ophthalmologist who completed fellowship training in oculoplastic surgery at the University of Minnesota. Procedures he provides to his patients include eyelid surgery, removal of lesions, orbital/lacrimal surgery, and cosmetic and neurological applications of BOTOX injections. To learn more, contact Coastal Eye by calling 941-748-1818. If you live in or around Sarasota and are considering Lasik surgery, visit the Coastal Eye Institute. LASIK is a laser-assisted surgical procedure for people who have poor vision due to nearsightedness (myopia), farsightedness (hyperopia) or astigmatism. Performed as an out-patient procedure, LASIK can lead to remarkable vision correction results, greatly reducing or completely eliminating a patient’s dependence on glasses and contact lenses by reshaping the cornea. Learn more by calling Coastal Eye at 941-746-2020. Call Coastal Eye in Sarasota for professional glaucoma treatment. Dr. Robert Edelman, and Dr. Pooja Khator specialize in the diagnosis and treatment of glaucoma, one of the leading causes of blindness in the United States. They will do everything possible to maintain your best vision; however, managing your glaucoma is a partnership between you and your doctor. Glaucoma is a lifelong disease that can cause blindness, but with early diagnosis and proper treatment, severe vision loss can usually be prevented. Call today, at 941-748-1818. 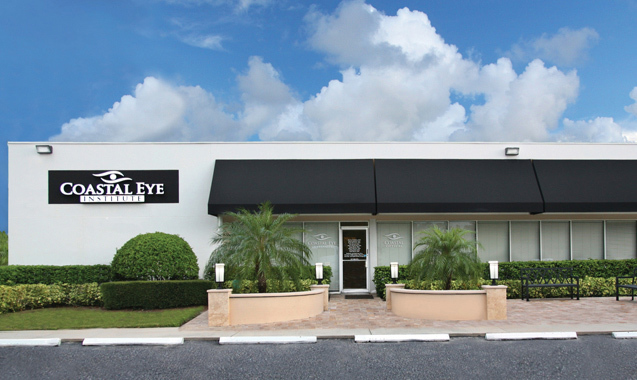 If you live in or around Sarasota and need eye surgery, you’re fortunate that Coastal Eye is right around the corner. Coastal Eye offers new technology in the two preferred types of cataract surgery available today: Standard Cataract Surgery and Laser Refractive. Laser cataract surgery brings a new level of accuracy and reproducibility by automating some of the most challenging steps of cataract surgery. Learn more by visiting coastaleye.com. Are you looking for Sarasota eye doctors who can perform cataract surgery on your eyes? Coastal Eye Institute offers the latest in technological advancements in cataract surgery, offering surgeons options that allow their patients to make informed decisions on how their cataracts will be removed. Now patients can opt for standards cataract surgery or laser refractive surgery. You can learn more when you visit online at coastaleye.com. Are you thinking about Lasik Surgery? Contact the Sarasota Eye Clinic at 941-746-2020. One of the latest advances in refractive surgery is called Wavefront-guided LASIK, customizes the procedure to treat a patient’s individual prescription. This customized procedure can result in patients seeing clearer and sharper than previous technology. LASIK surgery is performed under topical anesthesia in less than 20 minutes. You can speak with a Lasik specialist today at Coastal Eye Institute. If you live in the Sarasota area and are considering cataract surgery, contact Coastal Eye. During cataract surgery, the cloudy lens that has formed inside of the eye is replaced with a clear lens implant to restore vision. As a patient, you can choose from standard cataract surgery and laser refractive cataract surgery. A doctor from Coastal Eye can help you make the best decision. Call Coastal Eye today at 941-748-1818. Coastal Eye Institute is the Lakewood Ranch retina clinic locals rely on for exceptional treatment. If you develop new flashes or floaters or a shadow blocking your peripheral vision, an eye exam is necessary to check for a retinal tear or detachment promptly. Make an appointment with Coastal Eye by calling 941-748-1818 to protect your vision. Coastal Eye Institute in Lakewood Ranch is one of the largest ophthalmology practices on the Gulf Coast of Florida. While their practice has grown over the years to meet the evolving needs of the community, their guiding principle is the same- to provide outstanding medical and surgical eye care in a caring and comfortable environment. Find out more online at coastaleye.com. Coastal Eye Institute provides Lakewood Ranch residents with plastic surgery treatments. Blepharoplasty is a procedure in which excess skin and fat are removed to eliminate droopy or baggy eyelids. In some patients, eyelid skin can actually cover the eyelashes or block the upper portion of one’s peripheral vision. To correct this condition, the surgeon makes an incision in the eyelid crease, removing unwanted tissue. You can learn more about eyelid plastic surgery by visiting coastaleye.com. With a variety of financing options available, Coastal Eye Institute strives to offer Lakewood Ranch residents affordable Lasik, so that more patients can experience the freedom of laser vision correction. Coastal Eye Institute’s surgery scheduling team will work to schedule the procedure and help coordinate financing, if necessary. Don’t wait- call 941-748-1818 to make an appointment. 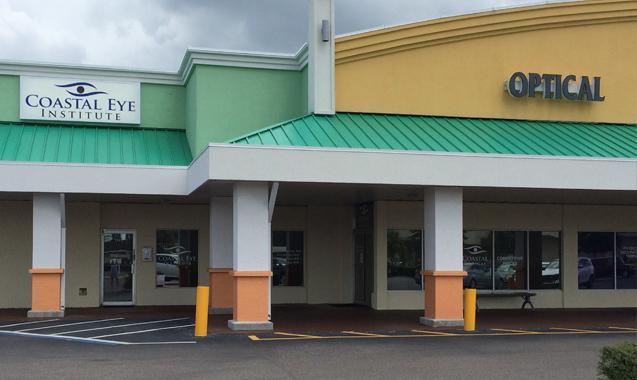 If you’re a Lakewood Ranch resident seeking glaucoma treatment, consider Coastal Eye Institute. The goal of glaucoma treatment is to lower the eye pressure to a level that no longer damages optic nerve fibers. This can be accomplished with the use of medicine, laser, or surgery. In some cases a combination of these will be required to achieve the desired or goal pressure. Contact a glaucoma specialist from Coastal Eye by calling 941-748-1818. Are you a Lakewood Ranch resident considering eye surgery? Let the Coastal Eye Institute give you new vision. Standard cataract surgery starts with an incision made with a scalpel to enter the eye. The natural lens of the eye has an outer layer that is then opened with a cutting instrument. The substance of the lens is then removed with an ultrasound probe. Find out more about cataract surgery when you go to coastaleye.com. 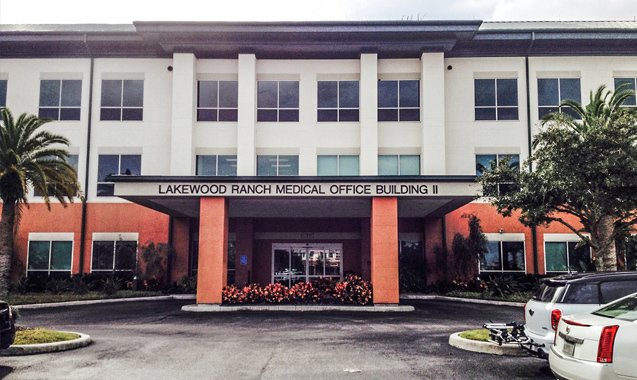 Lakewood Ranch is home to some of the most skilled eye doctors in the state of Florida. At the Coastal Eye Institute, doctors specialize in Cataract, Lasik, cornea, retina, glaucoma, neuro-ophthalmology, plastic surgery and pediatric care. You can contact Coastal Eye by calling 941-748-1818 or learn more about the services that they provide online at coastaleye.com. The Lakewood Ranch eye clinic provides locals with a wide range of eye surgery options for: cataracts, glaucoma, retina diseases, Lasik, plastic surgery, pediatric eye care and much more. All of Coastal Eye Institute’s physicians are fellowship-trained ophthalmologists who have received advanced training in a subspecialty of ophthalmology, enabling Coastal Eye Institute to offer expertise across a full spectrum of eye care. Make an appointment today by calling 941-748-1818. Coastal Eye Institute is the locals choice for Lakewood Ranch cataract treatment. When the patient and surgeon decide it’s time for cataract surgery, the cataract is surgically removed and replaced with a clear intraocular lens (IOL). At Coastal Eye Institute, specialists use an advanced surgical technique called phacoemulsification, which uses a tiny incision and usually does not require stitches or a patch after surgery. Call 941-748-1818 for more information or to make an appointment. Do you need an appointment with a Bradenton Retina specialist? Contact The Coastal Eye Institute. Macular degeneration, also known as age-related macular degeneration (AMD), is a deterioration of the macula that results in impaired central vision. AMD is the number one cause of blindness in those over age 55. Find out more about this condition by visiting coastaleye.com. 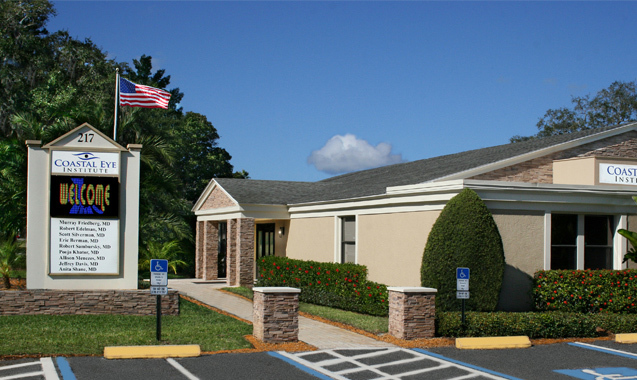 If you live in the Bradenton area and are looking for a specialist in neuro-ophthalmology, visit the Coastal Eye Clinic. Neuro-ophthalmologists take care of visual problems that are related to the nervous system; that is, visual problems that do not come from the eyes themselves. We use almost half of the brain for vision-related activities, including sight and moving the eyes. Call 941-748-1818 to make an appointment today. Coastal Eye in Bradenton provides plastic surgery and Botox treatments. Ophthalmologists pioneered Botox (botulinum toxin) usage for ocular and neurological disorders more than a decade ago. Patients receive Botox treatments for many conditions, including crossed eyes and spasm of eyelid muscles. Botox is also effective in treating wrinkles caused by contraction of facial muscles when smiling or frowning. Schedule an appointment for Botox at Coastal Eye by calling 941-748-1818. Meet your surgeon at the Bradenton Lasik Coastal Eye clinic, Dr. Sambursky, cornea specialist and Lasik and cataract surgeon. Dr. Sambursky is board certified at an Ophthalmologist and specializes in micro-incision cataract surgery, custom Lasik vision correction and laser cataract surgery. To schedule an appointment with Dr. Sambursky, please call the Coastal Eye clinic at 941-748-1818. If you’re a Bradenton resident looking for a Glaucoma specialist, consider Coastal Eye Institute. Although glaucoma cannot be cured, in most cases it can be successfully controlled. The key to preservation of vision is twofold: early diagnosis and treatment with regular follow-up care. Contact a Glaucoma specialist from Coastal Eye by calling 941-748-1818. If you’re a Bradenton resident considering Lasik eye surgery, call Coastal Eye at 941-748-1818 to learn about the options they can provide for you. To determine whether a patient is a candidate for refractive surgery, our Board-certified and fellowship-trained refractive specialist, Robert Sambursky, M.D., conducts an in-depth exam to determine the degree of refractive error, cornea shape, pupil size and the general health of the eyes. Contact the Bradenton eye doctors from Coastal Eye for cataract surgery, retina issues, glaucoma treatment, advanced lens implants, plastic surgery and other eye treatments. They offer specialists in every area of ophthalmology and can care for patients from infancy through senior years. Call Coastal Eye at 941-748-1818 to speak with one of their specialists today. Schedule an appointment at the Bradenton Coastal Eye clinic by calling 941-748-1818. If you need laser cataract surgery, Macular Degeneration treatment, expert Glaucoma care, Lasik surgery, Pediatric eye care or eye muscle surgery, you couldn’t come to a better place, or be in more capable hands. Learn more about the services that Coastal Eye provides to Bradenton by visiting online at coastaleye.com. For exceptional Bradenton cataract removal, contact Coastal Eye by calling 941-748-1818. Cataracts are a normal part of the aging process and are the leading cause of vision loss in adults 55 and over. Cataract surgery is one of the safest and most effective surgical procedures. In fact, more than 3 million cataract surgeries are successfully completed in this country every year; making it the most commonly performed surgery in the U.S.